When will be The World According to Kids next episode air date? 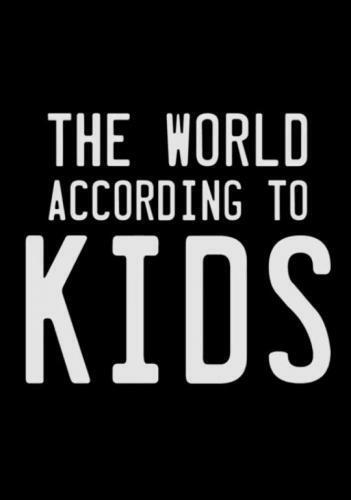 Is The World According to Kids renewed or cancelled? Where to countdown The World According to Kids air dates? Is The World According to Kids worth watching? 70 children aged between six and 11 across the UK tell us what they really think of the world, with insightful, funny and moving results. Equipped with cameras at home, they film their own lives through major events, while their after school clubs are rigged with cameras and a number of tasks devised by philosophers shake through the big issues of the day offering an intimate insight into how children think. Children from a boxing club in London, a pony club in Berkshire and a choir in Liverpool explore how they see right from wrong. Ten-year-old Ma-Leiha is struggling at school after fighting with boys, nine-year-old Jumi is so easily influenced, his family worries it could land him in trouble, whilst cheeky Holly never knows whether to listen to the angel or the devil on her shoulders. Children from a pony club in Berkshire, a choir in Liverpool and a boxing club in Hackney explore belief, in themselves and the world around them. Children from a school on the Isle of Mull, a pony club in Berkshire and a debating club in Bradford explore what it means to grow up. 9-year-old Sophie dreams of riding at the Olympics, but is struggling to get back in the saddle after breaking her leg in a bad fall, Arwen looks beyond the isolation of Mull for her future, whilst Daniel is desperate to become a renowned scientist but has a back up plan of a magician. 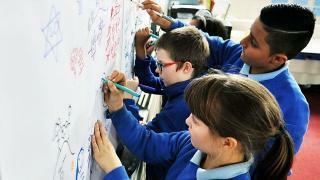 Children from a choir in Liverpool, a debating club in Bradford and a boxing club in Hackney explore what they think of adults and what would be different if kids ruled the world. 11-year-old Salim wants to ban all bookies so adults can't gamble their life away, ten-year-old Sahar comes face to face with rising Islamophobia while wearing her hijab, whilst tensions flare in Liverpool as Jade tells her friends she would save her dog from a sinking ship before any of them. The World According to Kids next episode air date provides TVMaze for you. EpisoDate.com is your TV show guide to Countdown The World According to Kids Episode Air Dates and to stay in touch with The World According to Kids next episode Air Date and your others favorite TV Shows. Add the shows you like to a "Watchlist" and let the site take it from there.